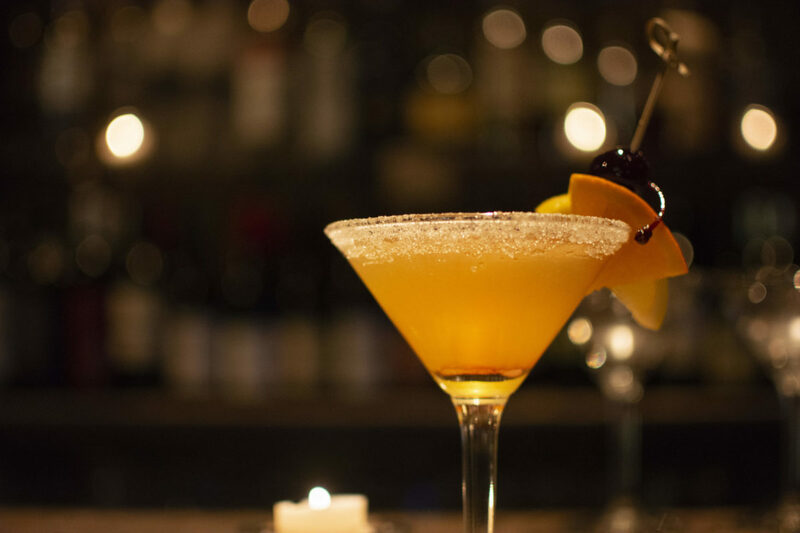 Alanna Demetrius | The Phoenix Le Piano, a jazz bar located off the Morse CTA Red Line stop, enchants guests with Montmartre-esque allure and idealistic jazz experiences. Although the locale officially closes at midnight, it’s open until lights are off. 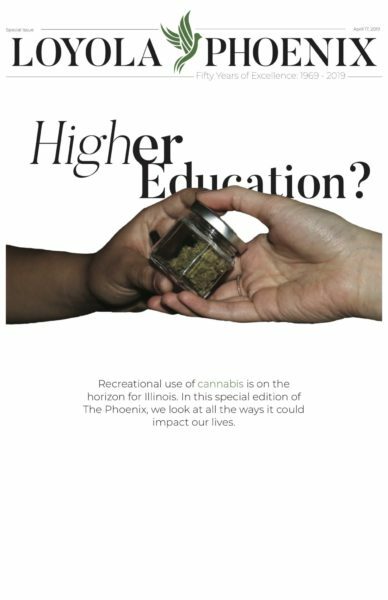 Alanna Demetrius | The Phoenix Guests can indulge in a "Happy Ending," an experience where they lay under a piano while a pianist plays. 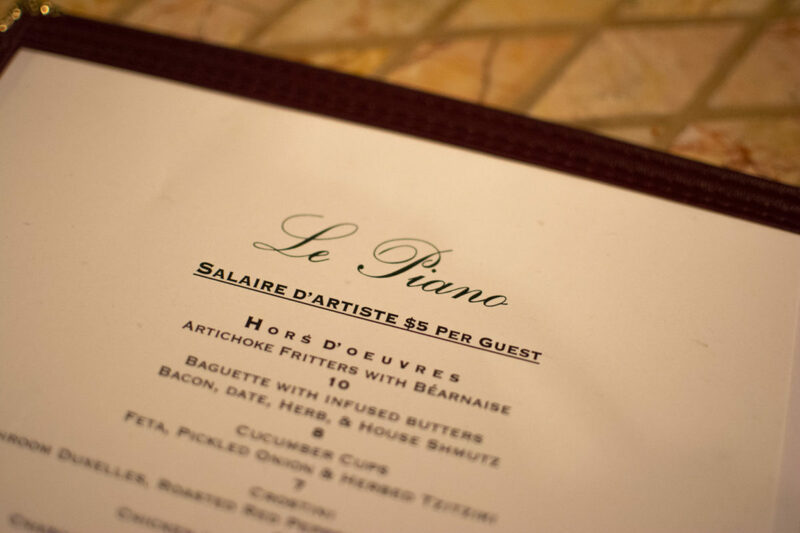 Alanna Demetrius | The Phoenix Everything on the menu at Le Piano costs between seven to $15. 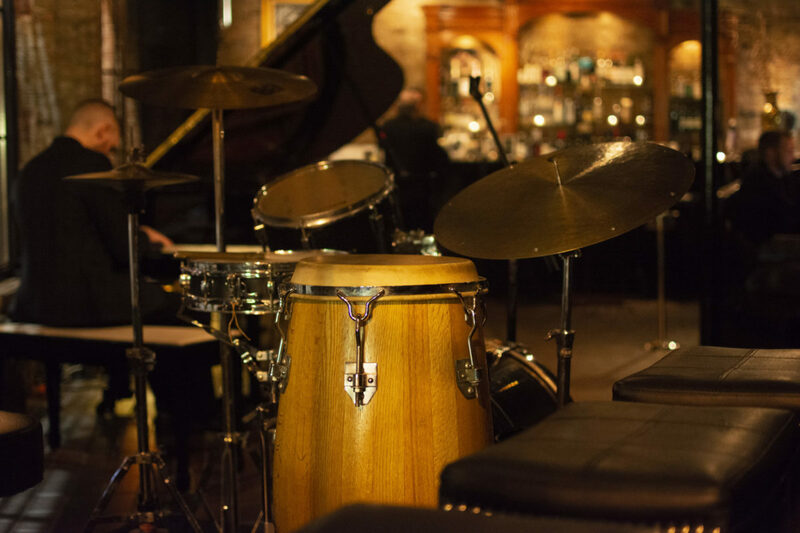 Wedged in between a fire escape and a Chinese and Vietnamese restaurant just off the Morse CTA Red Line stop, Le Piano, a jazz club with live music seven nights a week, offers an experience like no other. 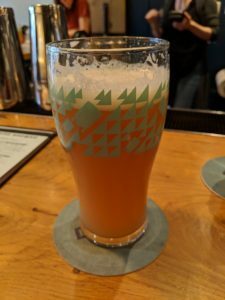 It opened this past November under co-owners Chad Willetts and Joe Quinlan. 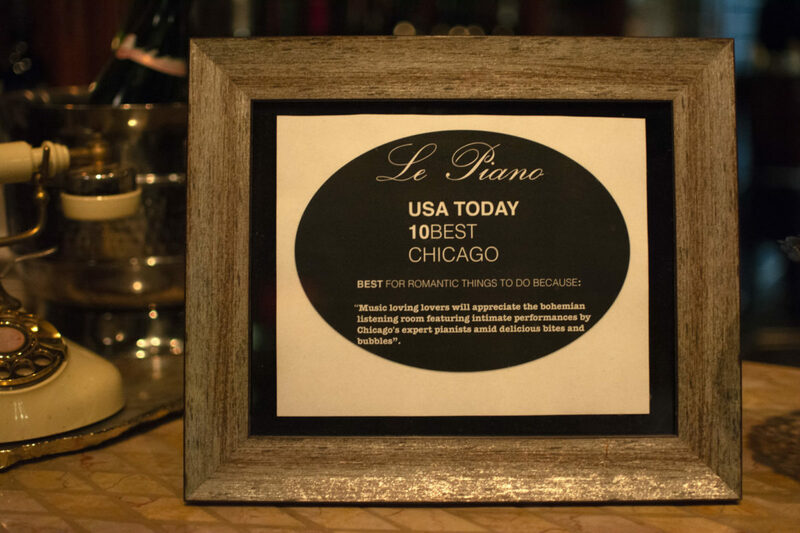 Le Piano (6970 N. Glenwood Ave.) takes inspiration for its design from the Latin Quarter of Paris. 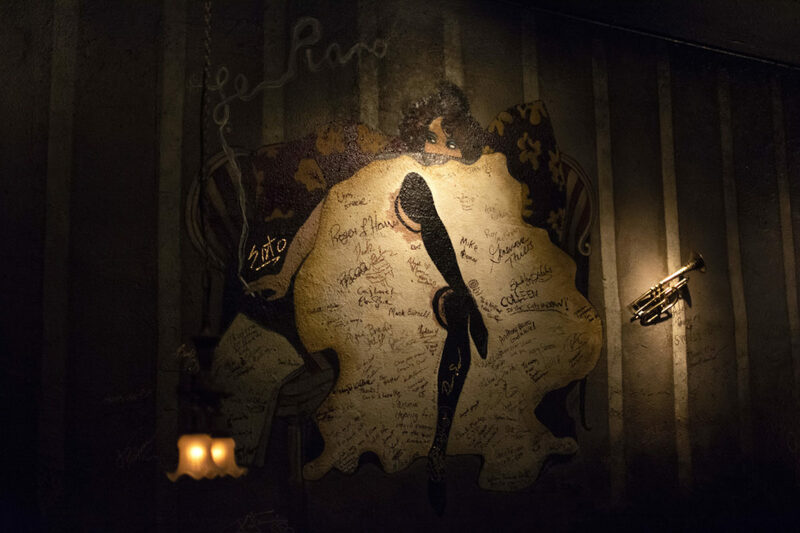 Le Piano brings the ambience of a Paris quarter closer than ever, with murals adorning the outside wall adjacent to the jazz club and the cobblestone street breaking the sounds of car tires as they run over it. 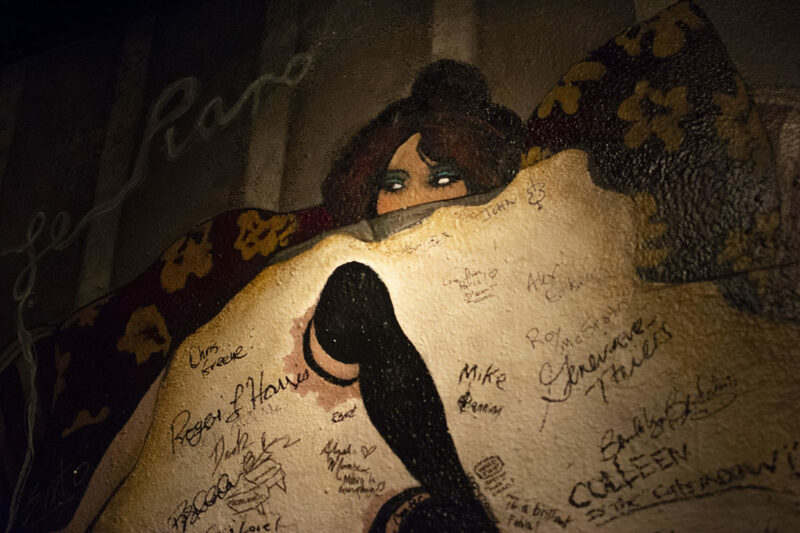 On the north wall of Le Piano is a mural painted by Donna Arnold inspired by a French cancan poster. 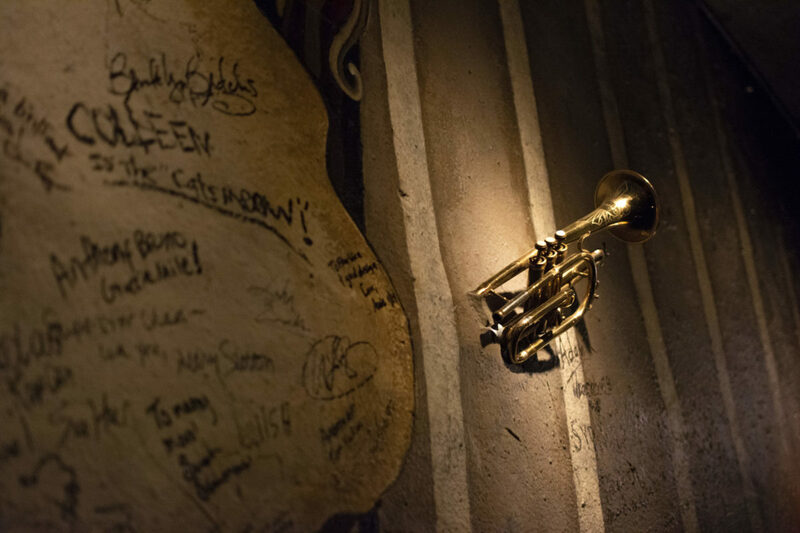 Willetts’ mother’s trumpet is lodged in a small hole on the same wall and written over the mural are the names of all Le Piano’s artists. Capturing the intimate feel of a cozy living room, the acoustics beautifully capture instruments’ sounds as they bounce off the walls. 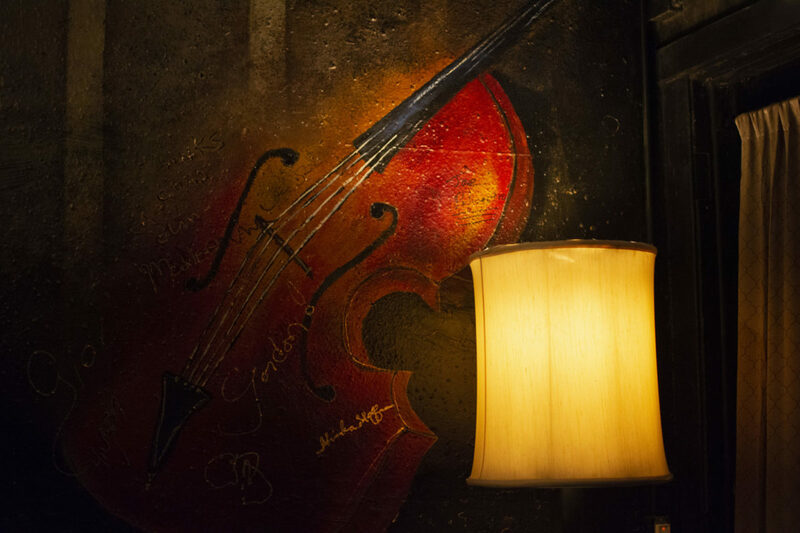 A trombone and saxophone, gentle lighting and paper lamps hang from the ceiling as patrons eat, drink and enjoy the tunes. Unique items, such as a wagon and a Sinatra booth, give Le Piano a distinct feel. The wagon serves as a community table for both groups and individual guests, while the Sinatra booth — a half-circular booth with a table in the center — sections off the bar area from the dining area. A plethora of wines are priced per glass and per bottle on the menu, with a separate cocktail menu listing mixed drinks at $12 each. With six hors d’oeuvres, seven petites (small entrees) and two desserts listed on the opposite side of the menu, prices range from seven to $15. The Phoenix tried the ribeye with Fingerling Potatoes and House Shmutz, the New Zealand Frenched Lamb and Fingerling Potatoes with Pomegranate Reduction and House Shmutz, the House Made Ice Cream during Jour and the Baked Apple Jenny — caramelized apple slices with bourbon, caramel, walnuts and bleu cheese. While the ribeye is fantastic, featuring an amazingly seasoned piece of meat, the frenched lamb underperforms, with little flavor underneath each bite. The desserts are the same way. The house made ice cream is a good after-dinner treat, but the Baked Apple Jenny clashes its flavors together in an unsatisfying way. Le Piano features a unique feast for the senses beyond what the menu offers. 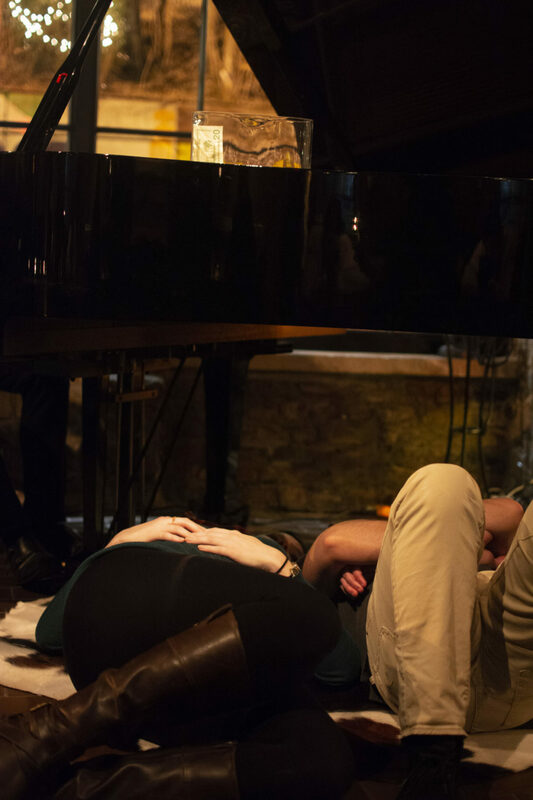 A “Happy Ending” — a listening experience where guests lay on a harriet hyde underneath the grand piano while a pianist plays — is available for $10 per person. The “Happy Ending” is a magical experience, with the relaxing sound of piano keys washing over the senses as listeners’ heads rest on pillows. 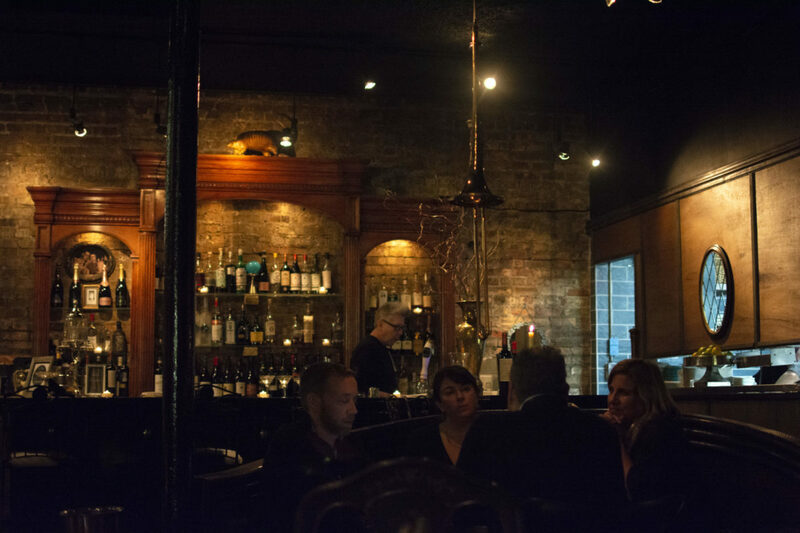 Le Piano opens at 6 p.m. nightly, closes at midnight Sunday through Thursday and at 1:30 a.m. Friday and Saturday, but people looking through the elegant windows are invited in hours before opening and offered drink samples, according to Willetts. The music doesn’t stop when the featured musicians leave, since anyone can walk to the stage and start playing. A passing musician wishing to play his violin is welcome since “Le Piano is open until the lights go out,” according to Willetts. A $5 ‘Salaire D’Artiste’ (salary of the artist) for the performing musicians is added to each guest’s bill, regardless of whether or not a musical performance takes place at the time of attendance. Willetts’ vision of Le Piano began a long time ago — he said he spent years scouting spaces to realize his dream. Being a Rogers Park resident for 25 years, he said he never considered the area until the current space for Le Piano became available. Alongside Willetts and Quinlan, Le Piano executive chef Jen Swanteck completes the jazz club’s equation. The three make for a trifecta worthy of attention. The experience alone is worth the visit. While serviceable, food and drinks supplement the main attraction: the music. Musicians cycle throughout the week, with a solo piano featured Monday through Thursday from 6 p.m. to 10 p.m., the Chad Willetts Trio — featuring Kevin Fort on piano, John Sutton on bass and Willetts on drums — with guest artists on Friday and Saturday from 7 p.m. to 11 p.m. and Kimberley Gordon and Chris Foreman on Sunday from 7 p.m. to 10 p.m.